Spanish Vertigo released a lot of the British albums, but the packaging underwent at times some baffling changes in the process. 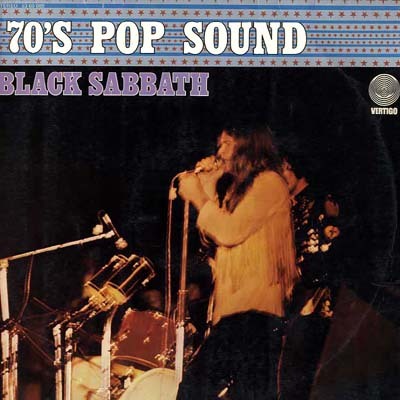 It even released a bunch of unique swirls under the heading of ''70's pop sound'', which actually are compilations of the bands involved. We have seen three of those, but there could easily be some more. Where we have enough information we have listed these, but if we do not know the catalogue number for sure, we have left a blank, hoping that Spanish readers of these pages will add their knowledge to this site. 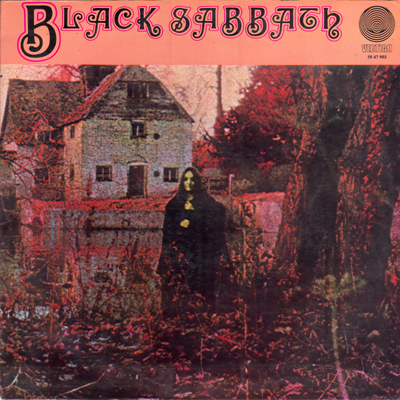 We need information on both the Black Sabbath volume (6360 089) and the Magna Carta volume of this series (6360 095). 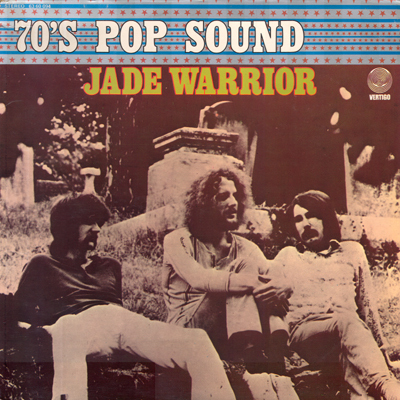 An example can be viewed under 6360 094, Jade Warrior. There were also single releases in Spain, and we have listed a few of these at the bottom of this page. If you have singles that we have missed (and surely there must be such singles), please contact us. Spanish Vertigo album covers are laminated and made of thin board. They did not adapt to the "VO" prefix, but used an own invention instead, the prefix "5847", followed by 900, 901 and so on, until the "6360" prefix was inaugurated with Fairfield Parlour's album. 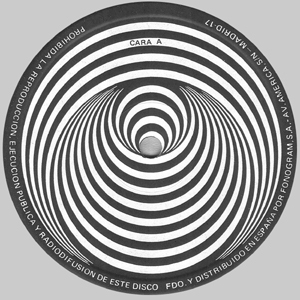 Spanish A-side labels have ''cara A'', meaning side A, in the second white circle. They also have an extra wording concerning copyright at the perimeter. 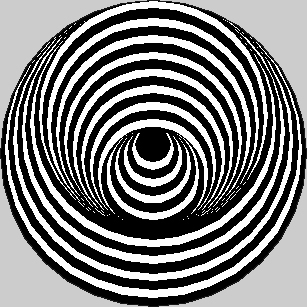 As with early Dutch releases, the logo is upside down. This was not corrected on consecutive releases. 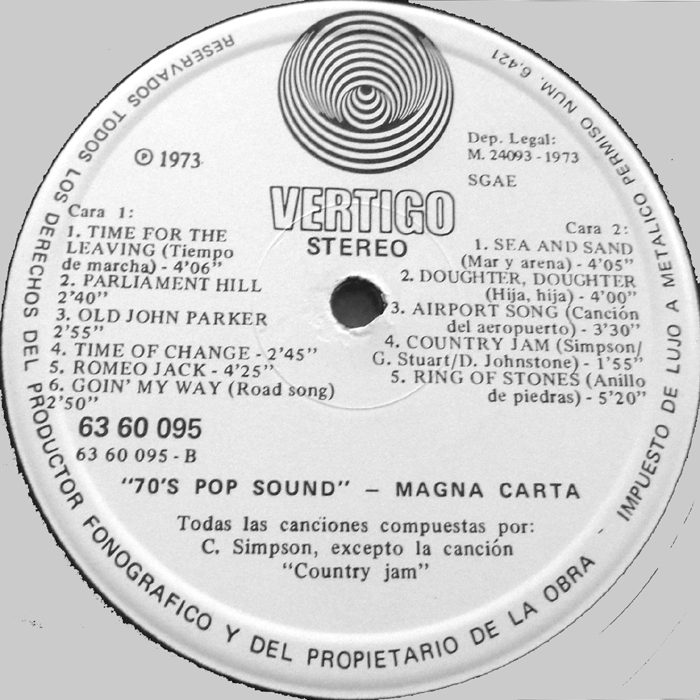 A distribution wording of parent company Phonogram (Fonogram in Spain) appears on Spanish backcovers. 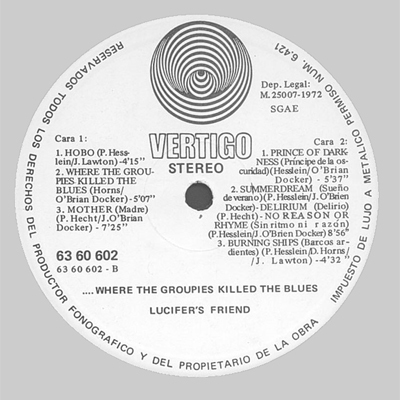 Spanish albums (not only those of Vertigo) have the date of the ''legal deposit'' somewhere on the label, mostly at around 1 o'clock. The perimeter wording is - naturally - in Spanish. Titles are often translated into that language too. country code, catalogue number, side, mother disc. We will now proceed with album releases that were substantially altered when compared to their British counterparts, as far as we are aware of them. Presumably offended by the degree of nakedness of the British cover, Spanish Vertigo took the (milder) Dutch cover and erased the ambiguous person from the middle, replacing it with another copy of the band logo. Very clumsy, but thus not giving any occasion to offend the general public. 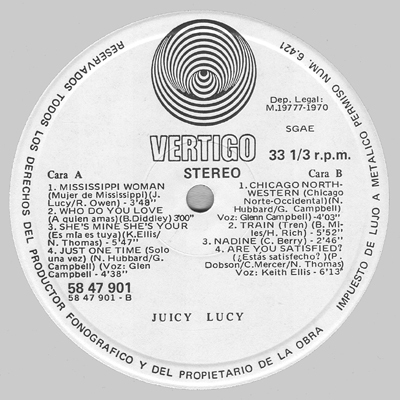 Liner notes and titles inside the gatefold are in Spanish. 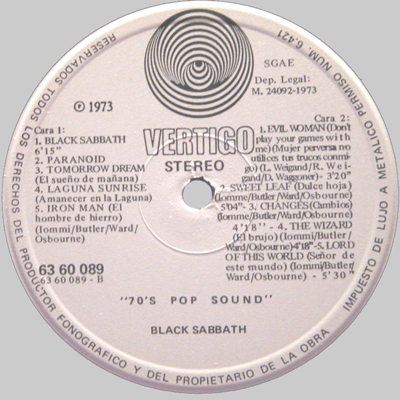 To increase readability, Vertigo Spain altered the lay-out of the Black Sabbath debut album, but in the process spoiled the balance of the image quite severely. The liner notes and the titles are again in Spanish. 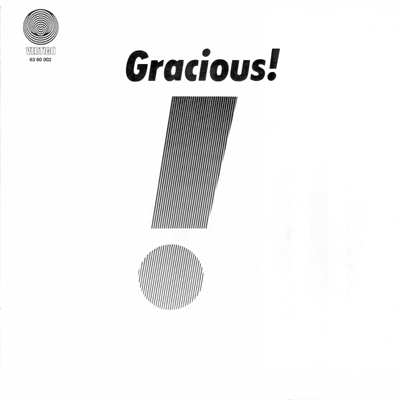 Not amused by the exclamation sign as only reference apart from a very small band name, the Spanish branch inserted the name of the band prominently on the Gracious album. The texture of the cover was discarded. The backcover was slightly altered too. The 6-part poster cover of the British release was understandably rejected, but the new design will probably not have appealed much to Roger Dean, creator of the art-work. For some reason beyond our conjecture, a framework of such a different style is superimposed upon the design, that its message becomes a completely different one. So we are at home and see this through a window, or what? Strange... The backside shows just the rocket. The original design was extremely simplified for this rare Spanish version. Musical contents are the same as for the UK version. Details of this release are still in the pipeline, as we have not been able to conquer a copy of our own yet. The track listing can be read from the label, of course. Cover manufactured by Foco, S.A., Madrid. Track listing A-side: Yellow Eyes (2'50'')/ Three-Horned Dragon Kings (6'06'')/ Telephone Girl (4'50'')/ A Winter's Tale (5'11'')/ Snake (3'02''). Track listing B-side: We Have Reason To Believe (3'50'')/ Masai Morning (6'47'')/ Obedience (3'19'')/ Mannamoto's Dream (5'35'')/ Eyes On You (3'04''). 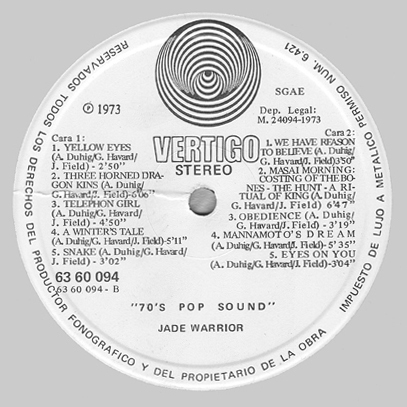 All tracks by Jade Warrior. Nothing's wrong with this sampler, that catches some of the best moments of the first three albums. 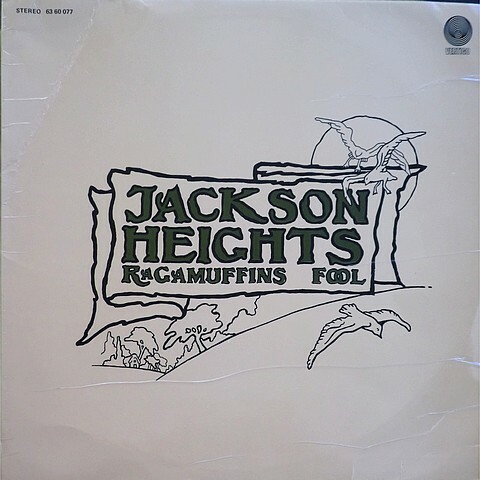 It goes without saying, that you can mourn some tracks that weren't elected, but on the whole this is a welcome record to make your acquaintance with the band. If you ever are able to find a copy, that is. The sombre churchyard photograph with too little contrast is just about acceptable. It is seriously disturbed, though, by the stars and stripes on holiday above. The lettering is very clear, yes sir, very clear indeed. What a waste! The liner notes on the back are in Spanish. Notes: B2 is subtly misspelled. ''Three-horned dragon king'' is how it should be, and this is something completely else than ''Three horned dragon kings''. The tracklisting is readable, I guess. 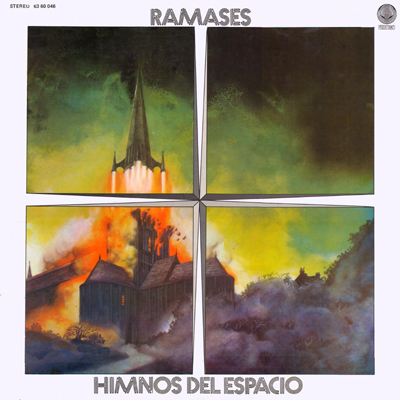 The original cover perhaps being too specifically British, Vertigo Spain used the image from inside the gatefold cover on the outside and vice versa. 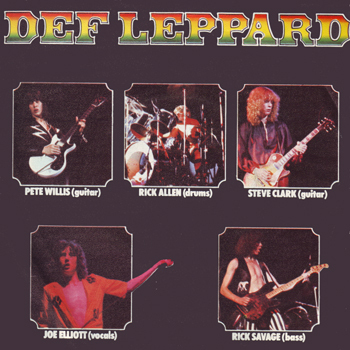 The title track moved to A2 and ''Rose on the vine'' was deleted, making this a shorter version. The front cover was the same as the German one. 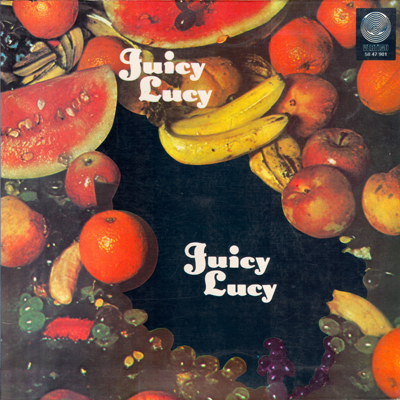 On the backcover, the new track listing was not used, but instead the ''normal'' German one. The spine lists erroneously ''Licifer's Friend'' as the artist. 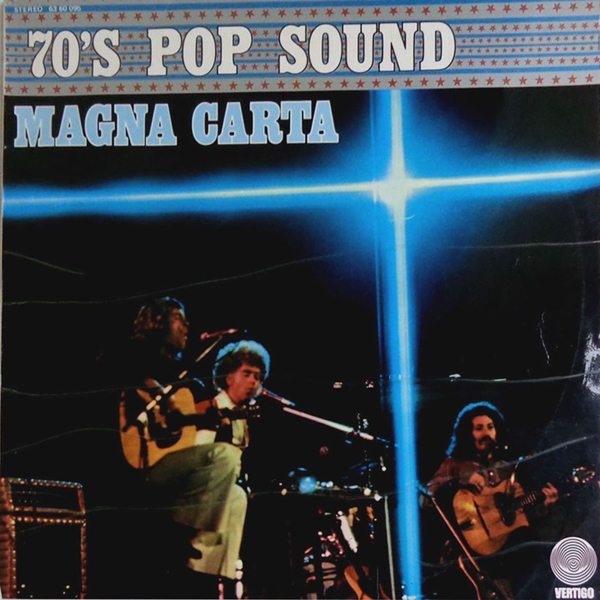 Contributing bands: Colosseum, Rod Stewart, Jimmy Campbell, May Blitz, Juicy Lucy, Fairfield Parlour, Magna Carta, Affinity, Black Sabbath, Gracious, Cressida, Nucleus, Manfred Mann Chapter Three, Bob Downes, Dr.Strangely Strange, Uriah Heep. 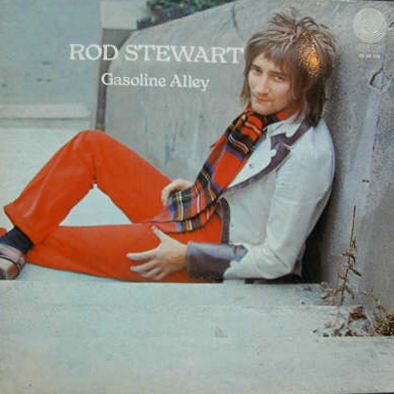 This has the same track listing as Britain's ''Vertigo annual 1970'', see the end of the 5th British album page. 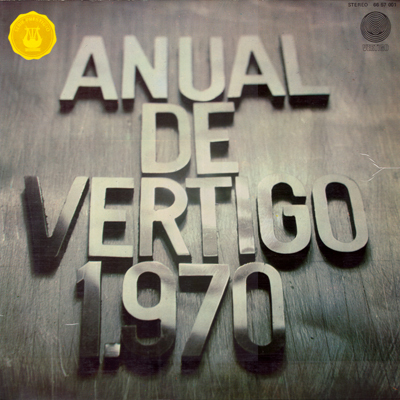 It seems more than probable that Spanish Vertigo judged against the naked lady on the cover of the British version and arranged a Spanish designer to substitute it. The front and back of the gatefold are in raw opposition towards the aesthetics that make the packaging of Vertigo albums worthwhile. This is meagre and badly executed too. Opening the cover, the real design seems to be found inside. A sort of strongly stylized lion in two unobtrusive shades of silver stares at us mercilessly, yet without any threat. The information is very neatly divided over the image. At least this ressembles something like a design and this should have been the outside of the cover. The logo at the left top corner is not a sticker, but belongs to the printed image. 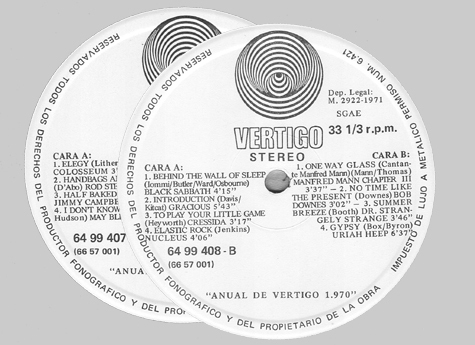 Spanish Vertigo undoubtedly produced a lot of singles too, but these are not very widely spread. We are certain that there are more swirl singles issued in Spain, than the ones we have on display here. If you own any of these, please contact us! 850 6059025 *A* 1 for the first single depicted below: country code, catalogue number, side, mother disc. The prefix ''6059'' is split in two in Spain. The labels are very similar to those of the albums. The A-side is in B-side style on all singles we have so far encountered. 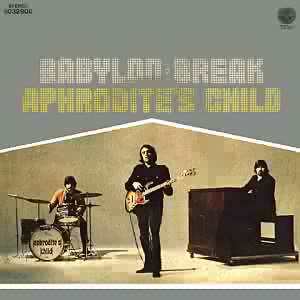 Spanish picture sleeve for 6032 900, Aphrodite's Child Break/ Babylon. 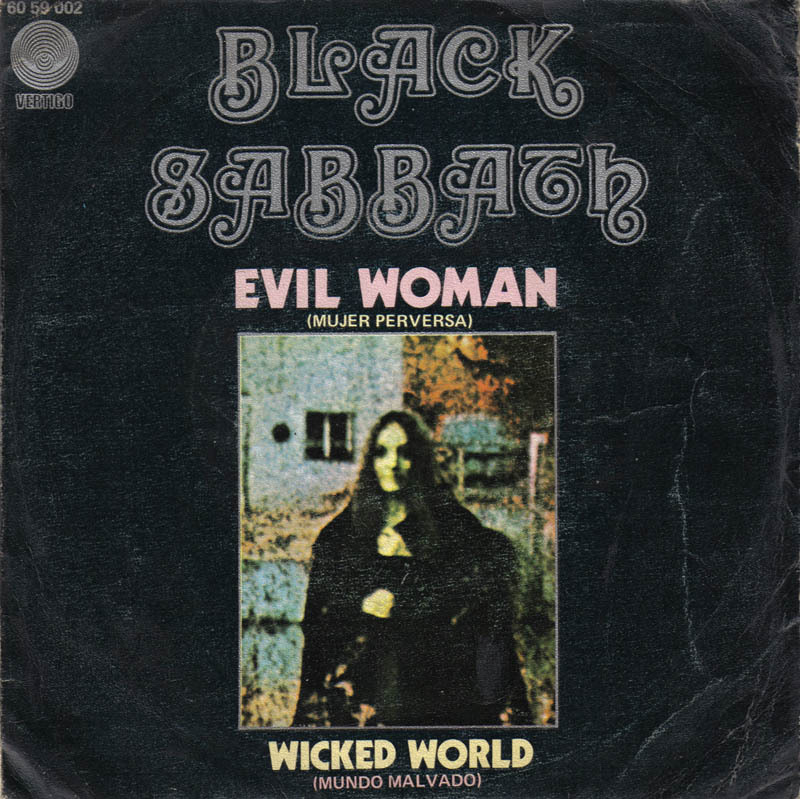 Spanish picture sleeve for 6059 002, Black Sabbath Evil woman/ Wicked world. 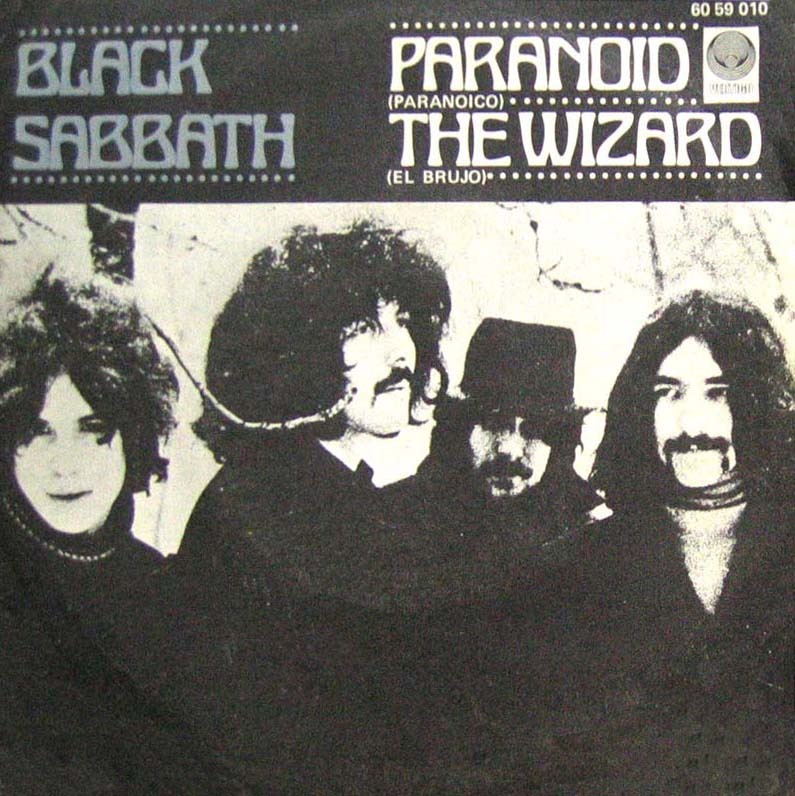 Spanish picture sleeve for 6059 010, Black Sabbath Paranoid/ The wizard. 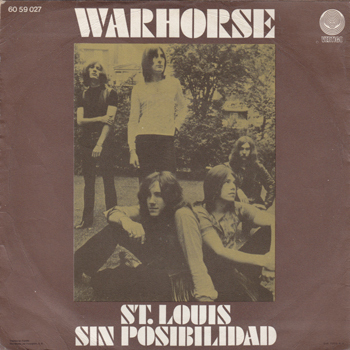 Spanish picture sleeve for 6059 027, Warhorse St. Louis / Sin posibilidad (No chance). 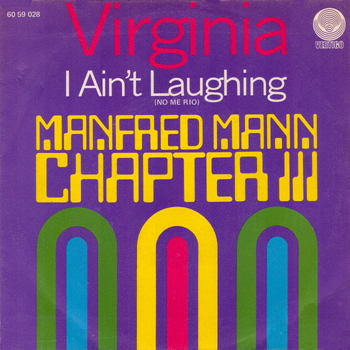 Spanish picture sleeve for 6059 028, Manfred Mann Ch.III Virginia/ I ain't laughing. 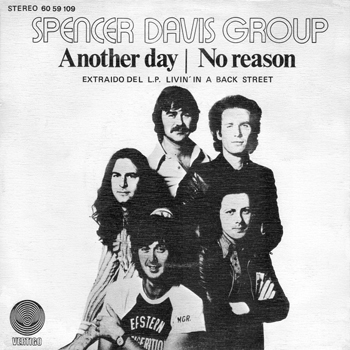 Spanish picture sleeve for 6059 109, Spencer Davis Group Another day/ No reason. Spanish picture sleeve for 6059 247, Def Leppard Hello America/ Wasted. 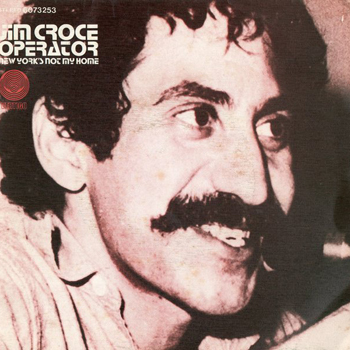 Spanish picture sleeve for 6073 253, Jim Croce Operator/ New York's not my home. 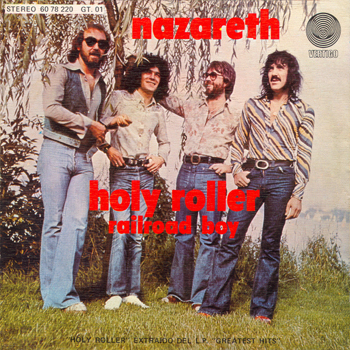 Spanish picture sleeve for 6078 220, Nazareth Holy roller/ Railroad boy. 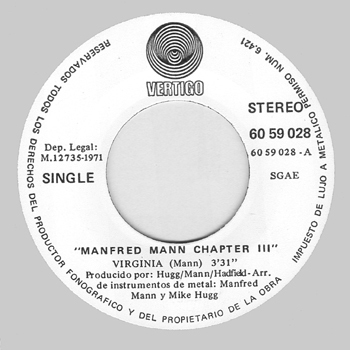 The Spanish version of 6073 256 (Jim Croce) has a different B-side: Next time, this time, instead of Hard time losin' man. 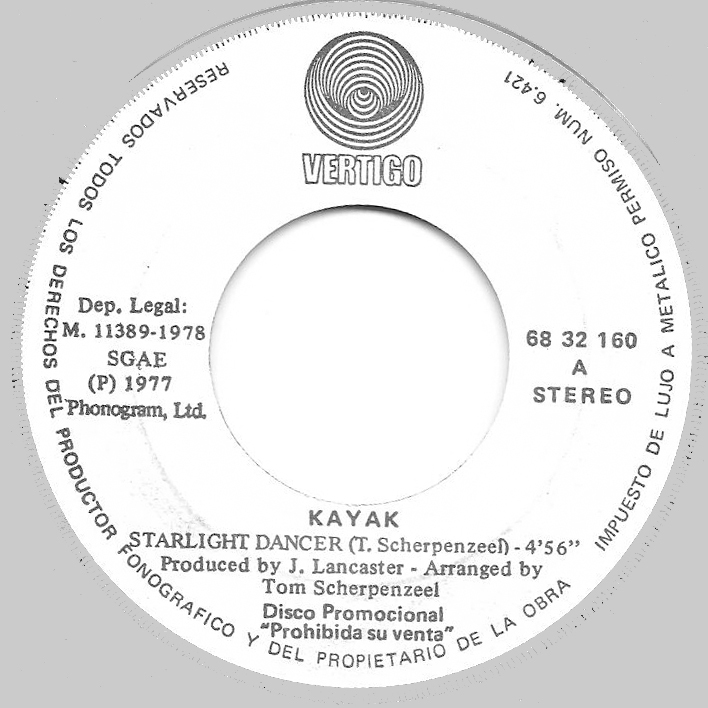 Also spotted: 6832 160, Kayak Starlight Dancer/ Irene with a swirl promo label.